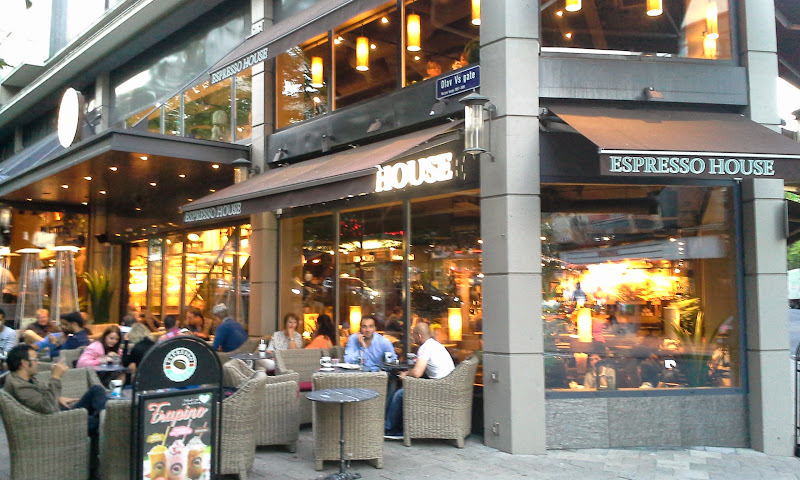 While we did enjoy Stockfleth’s coffee in Oslo, I do believe that I prefer Espresso House. 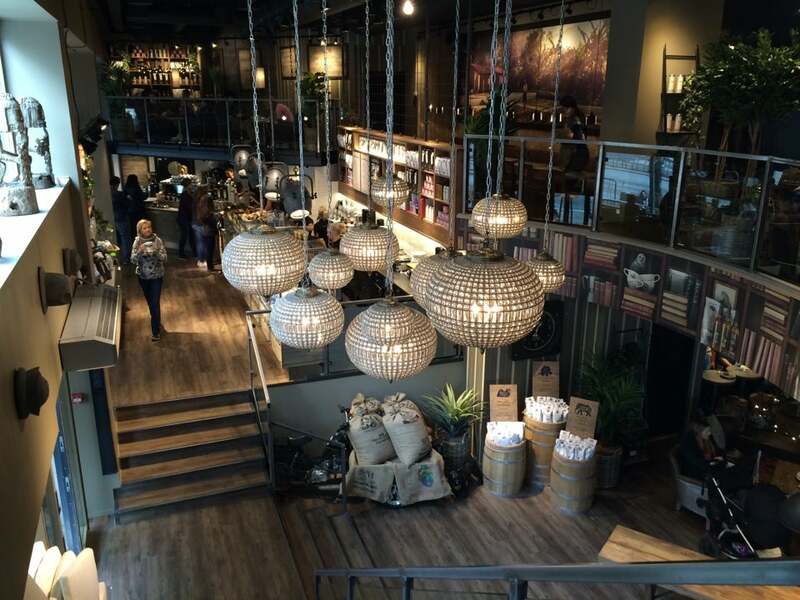 It is a local chain that has several locations throughout Oslo, but we went into the large, two-story location at Olav V’s Gate 2, Oslo, Oslo 0161. That’s just due south of The National Theatre. Coincidentally, this shop is also a great place to find a free public restroom in Oslo (it’s up on the second level). When we stopped here, we were a little hungry and definitely in need of some coffee. They have lots of different coffee options and even more food options for you to choose from. This includes everything from sandwiches to pastries and sweets. We tried two different sweet items, because sweets and coffee are the perfect match. And, one of us got a latte and the other regular coffee. As expected, the coffee was nice and smooth. Perfection, really. 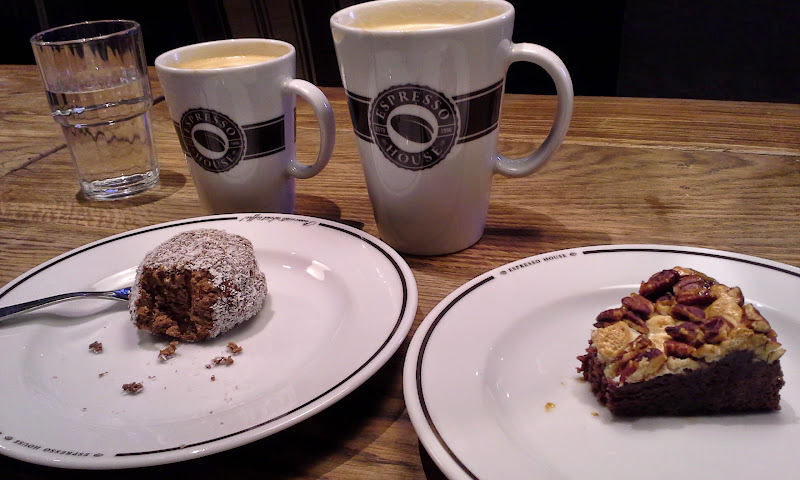 In fact, this was probably the best coffee that we had while in Olso (in June 2014). As for the sweet treats, they were also quite tasty. We ended up with a Swedish chocolate ball and some type of brownie that was topped with caramel, pecans, marshmallows and other yummy goodness. The brownie was VERY rich! One thing to note is that you can get free tap water at Espresso House with your coffee, which is very nice. Don’t you hate when coffee shops make you pay for a glass of water? Additionally, this place is quite large and there is a LOT of seating. Wi-fi is free and did not require a password for access when we were there. If you check out this coffee shop, then don’t worry about any language barrier as each staff member seemed to speak great English. And, they were all very nice.